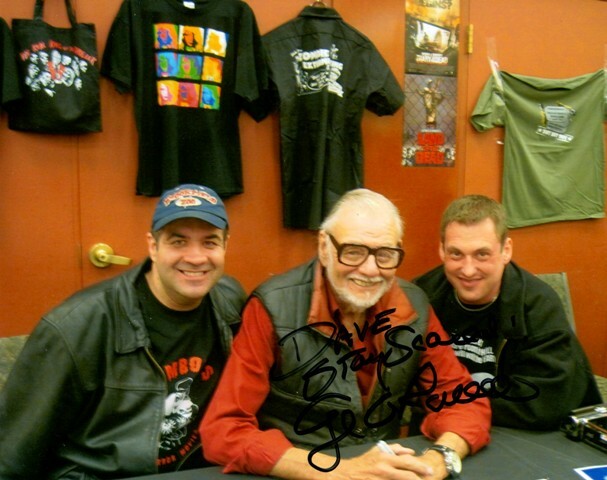 TALES FROM HORRORHOUND WEEKEND: Meeting George Romero! George Romero was know for being fan-friendly but, even if he hadn’t, it was well worth originally planning a trip to the 2010 Indianapolis Horrorhound Weekend on his account. You can read a bit about that meeting HERE as well as my second time seeing him a few months later HERE. This entry was posted in Celebrity Encounters!, Convention & Expos and tagged George Romero, HORRORHOUND WEEKEND. Bookmark the permalink. ← WOMAN IN BLACK…and Harry Potter ain’t coming back!